According to a study by Nexity Lab, Lyon is, once again, the leading smart city in France! This is very welcome news for Metropole de Lyon, which launched the Lyon Smart Community project in the Confluence area in collaboration with the Japanese organisation NEDO (which works to develop new energies), between 2012 and 2017. The project’s objective: to innovate in the smart grid sector and develop new energy solutions and improved energy management as a testing ground, the Confluence district has become a neighbourhood of the future thanks to the different schemes. The Hikari unit is home to housing, offices and shops and produces 67% of its own electricity and meets 87% of its own heating needs and 80% of its air conditioning needs thanks to solar energy and a heating station that uses vegetable oil. As a result, the premises consume 50 to 60% less energy than before. Within the same sustainable development framework, Sunmoov’ car-sharing vehicles, powered by 100% clean energy and fuelled by photovoltaic panels, were trialled between 2013 and 2015. At the same time, work was also done on the Lyon-Perrache estate, which underwent a complete eco-renovation thanks to insulation work and the modernisation of heating systems. The crowning achievement is Consotab: a device fitted in all housing units that allows residents to check their energy consumption in real time, reducing energy consumption by up to 12% in winter, and 8% in summer. The Community Management System is a veritable power house for energy data. The system collects data from Sunmoov’, Hikari and Consotab and centralises it to enable smart energy management. The data is collected and analysed in real time, which means that it can be optimised to balance energy flows according to needs and availability. It also gathers other data, such as air quality and weather information collected by the city. In total, around thirty expert partners have taken part in trials. 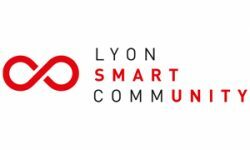 Lyon Smart Community is the driver for developing smart technologies in Lyon and inspired the new European Smarter Together programme, which aims to roll out smart solutions in the fields of energy, transport and new technologies. Meanwhile, in the Confluence district, a new programme, Eurêka Confluence, has been launched. By making residents the focus of the project it is continuing the work started by Lyon Smart Community.